Looking for a unique bag to own with minimalistic design? 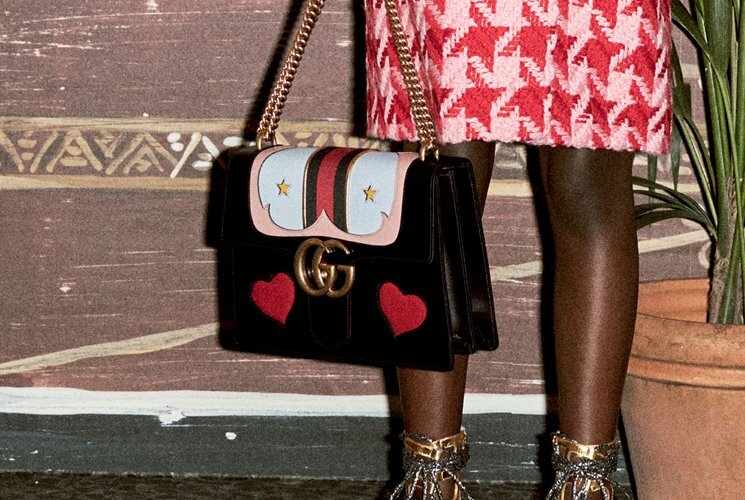 Well Stop, look and stare, as this Gucci Nymphaea Tote Bag will fulfill all your bag fancies. A one of a kind Gucci piece, this Nymphaea Tote Bag is a small structured leather top handle bag with distinctive bamboo handles that features an elegant cream pearl detailing. 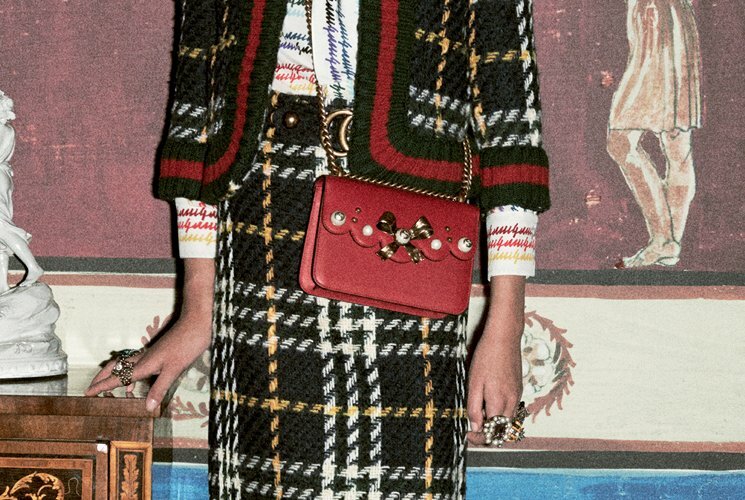 If you’re a Gucci fan, you’ll instantly take cue from the bamboo design, which is an icon of this Italian fashion power house. And if you’re wondering, there really is a story behind the name. Nymphaea is a particular genus of hardy and tender aquatic plants, which in ordinary parlance is popularly known as the white water lily. 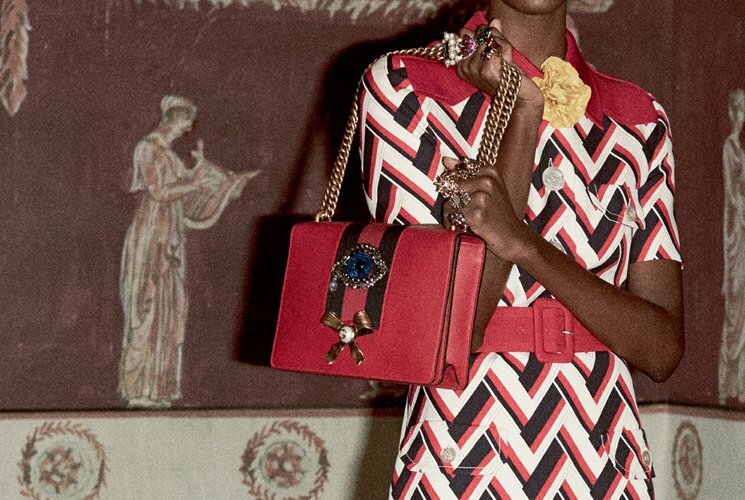 The bag name also references Greek and Latin myths surrounding the pearl and water lily. As we move into the interior, one can instantly notice that this bag is made of sophisticatedly soft and supple leather with a natural shine appearance. To complement it, a gold-tone hardware is used to achieve its aesthetic appeal. Compartment wise, it has an interior zip and smartphone pockets to keep your things organized. It also has a detachable shoulder strap for easy shoulder and cross body carrying. 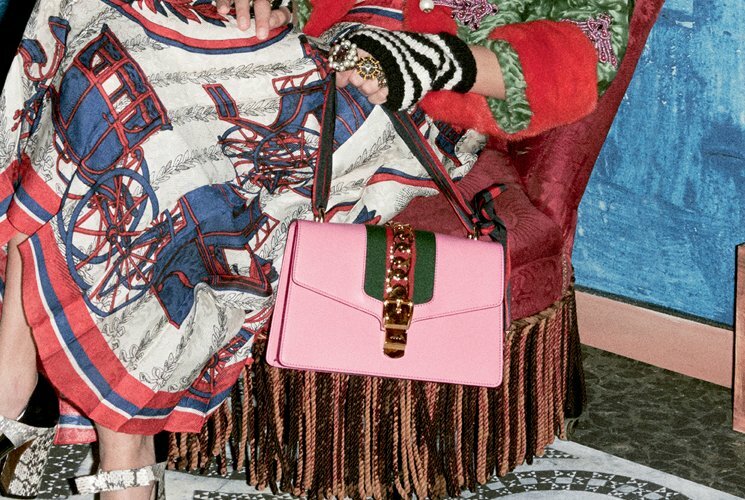 Measuring 10.5” x 8.5” x 5” (W x H x D) inches and is priced $1980 USD, €1590 euro, $2840 SGD, £1290 GBP, $17500 HKD, ¥215000 JPY via Gucci boutiques. 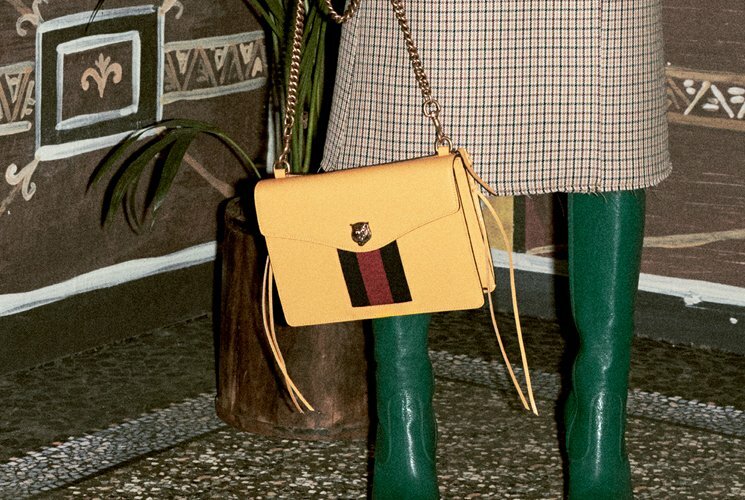 Polish supermodel Anja Rubik was recently spotted carrying a cute little Gucci Soho Disco Bag while spending some time with her family in Warsaw. If only we could all look this nice (and unharried) after a casual family lunch in the city. 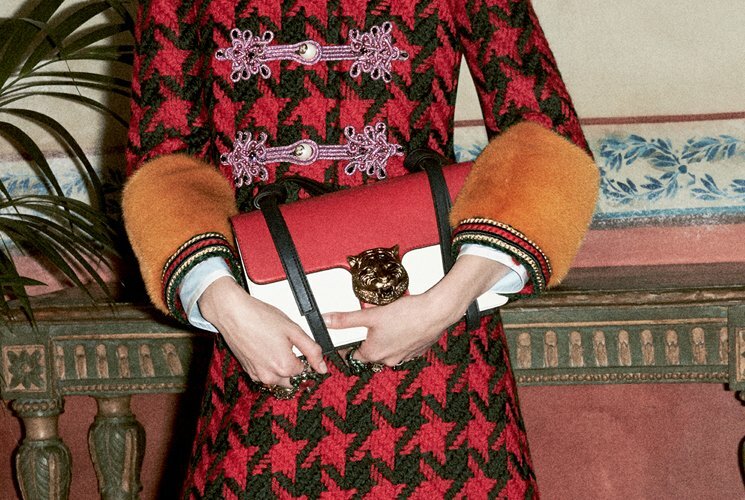 You can find Anja's exact bag at Gucci for $895. 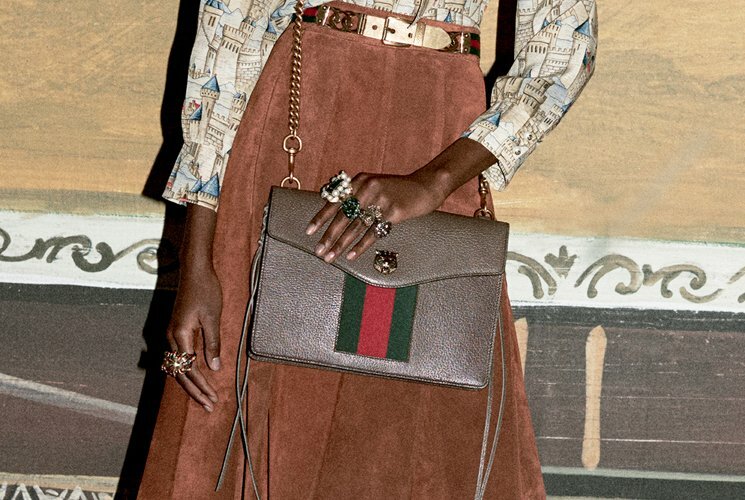 A $895 Gucci bag is a comparatively affordable handbag choice for a supermodel. 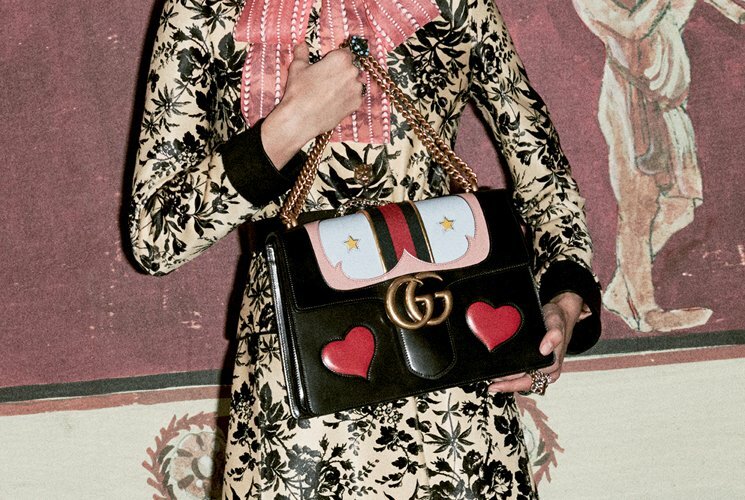 If you'd like to get a better feel for the kind of pricey designer swag we're more accustomed to seeing on the arms of the world's most beautiful women, be sure to check out "50+Bags on the Arms of Our Favorite Supermodels." 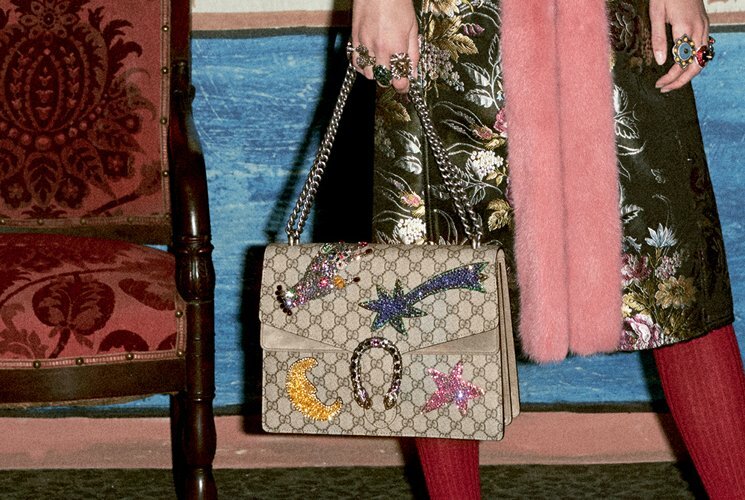 The Gucci house had been seeing some issues of late in terms of its profits and general market share within the fashion industry. We were seeing slight struggles and interesting comebacks, only to slide back again. 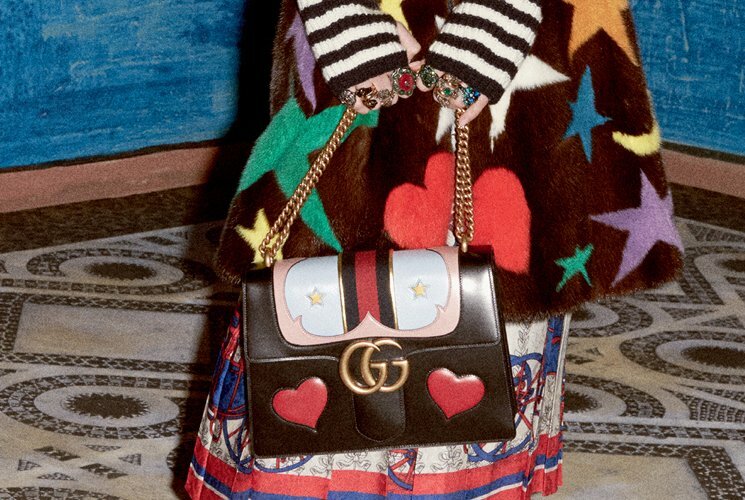 Now, we are finally seeing some major growth, with Gucci reporting the strongest sales in the past three years thanks to Alessandro Michele and that is certainly something to celebrate, particularly since the brand has been a household favorite for a few generations now. 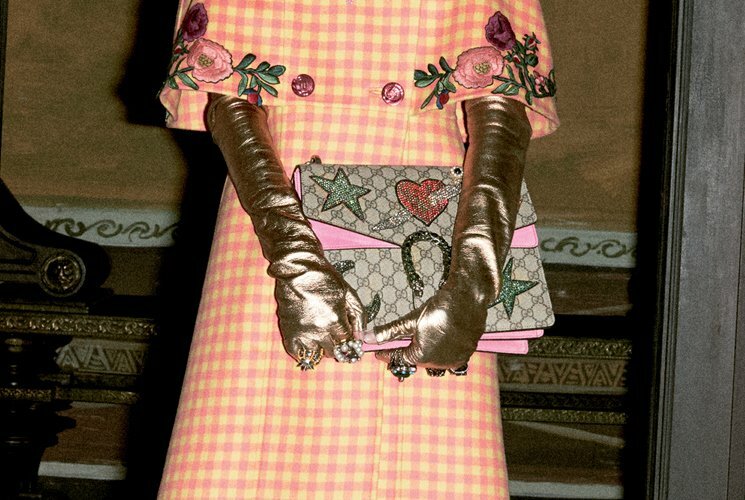 Creative designer Alessandro Michele has been doing some astounding work, moving the fashions beyond the typical and into the realm of atypical, showing himself to be more than worthy of his multiple awards won over the past bit. He has dominated magazine covers and convinced everyone to wear furry loafers, so it makes sense that he has also turned this boat around and brought the House of Gucci into lands of prosperity and wealth. The turnaround has been slow but steady and now we can officially say that there are smooth sailing waters ahead. 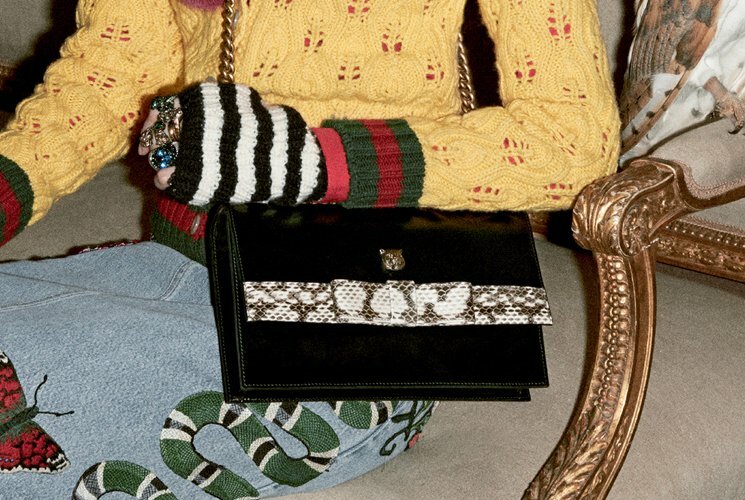 He’s been weaving magic slowly but surely and thus it has been found that the fourth quarter results for Gucci’s parent company Kering have seen an 8% increase in comparable sales and advancement in revenue by 4.8%, beating pretty much all estimates by advisors and analysts. 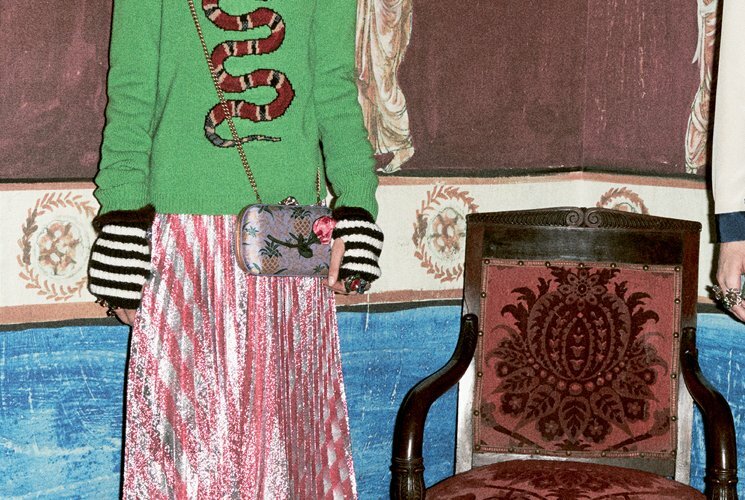 It has come back stronger than ever and we expect the house to keep rising for a while, particularly with Alessandro Michele heading the whole operation. 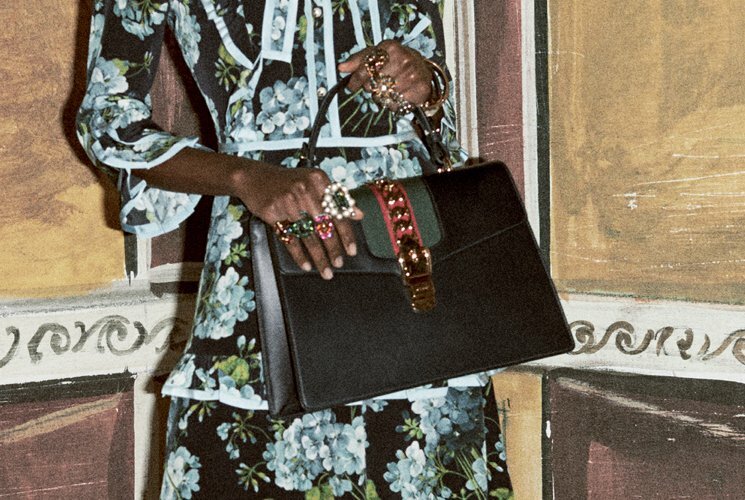 We have generally always loved the Gucci house and its designs. 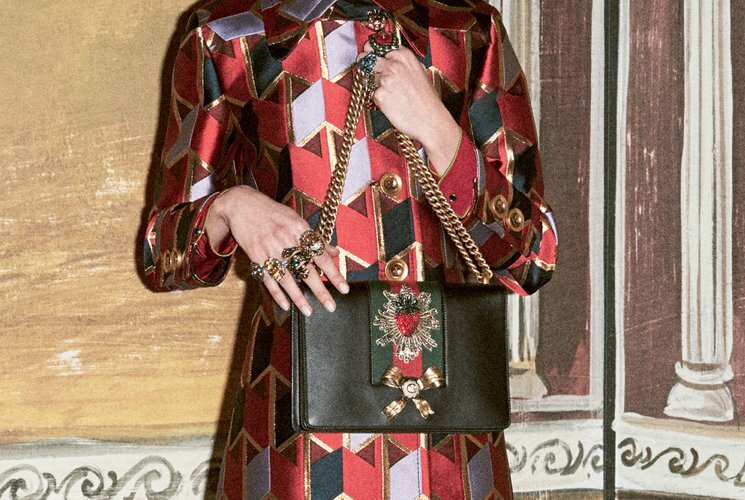 Lately the looks have gotten wonkier and less ready-to-wear than we had hoped, but it has garnered the attention of new fans through it, picking up those who have been waiting for something bold and beautiful from the fashion industry. 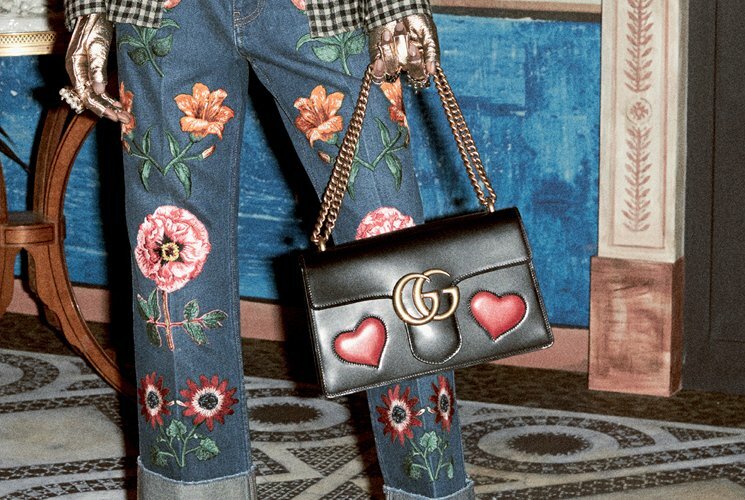 Michele’s designs have accounted for over 30% of sales in the last quarter alone, meaning that Gucci should hold on very tight to its current creative director, for a long time coming. This will be tested though soon enough when the third quarter of this particular year will be seeing his full collections put up and available to the masses. 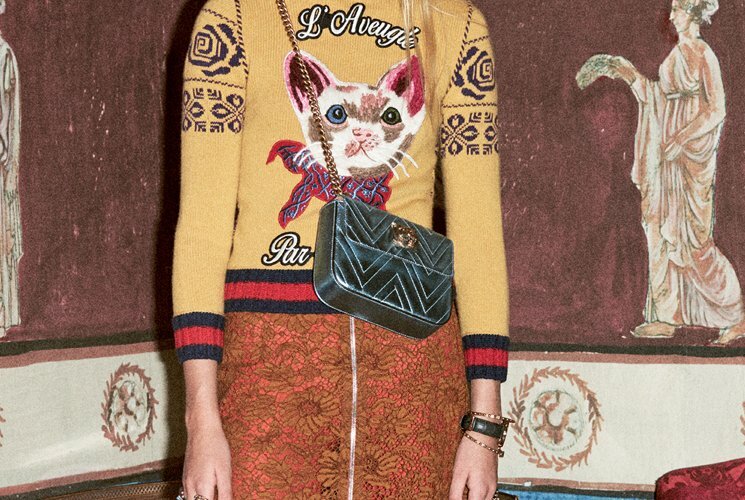 If those sell well in the Gucci boutiques, we shall know for sure that we have a winner here. 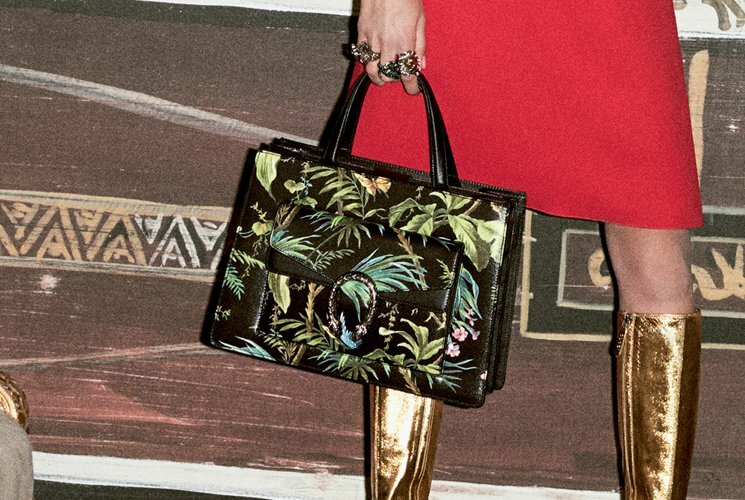 Hopefully Saint Laurent’s Hedi Slimane can also bring in similar results, staying on with the brand, even though there are rumors that he might be leaving. It just ends up rocking the boat when a creative director leaves and often it takes too long for the newcomer to get the hang of running the house through new and unique designs meant to appeal to fans and potential customers alike. 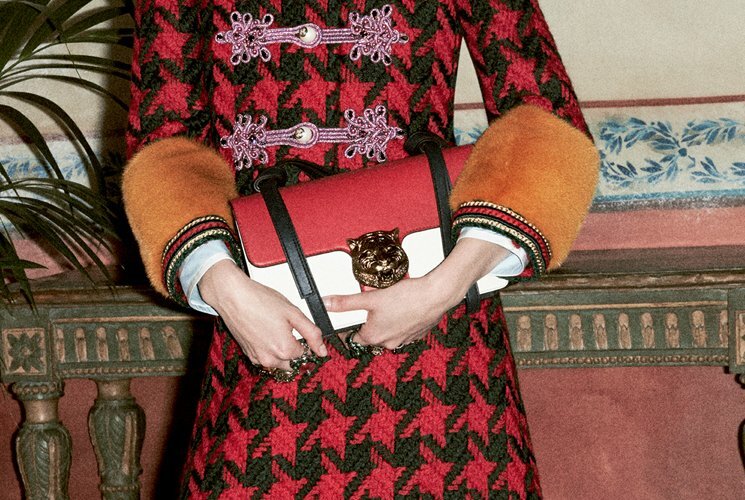 We look forward to seeing more success from all of Kering’s companies, with Gucci placed top of our list.